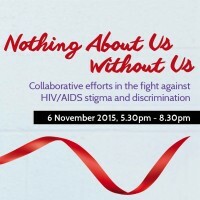 Relationships Australia South Australia proudly presents the Nothing About Us Without Us: Collaborative Efforts in the Fight Against HIV/AIDS Stigma and Discrimination, on 6 November 2015, 5:30pm at the SAHMRI auditorium. HIV/AIDS activist Dr Lydia Mungherera will deliver the keynote address on addressing stigma and discrimination around HIV/AIDS and the importance of collaborating with those living with the virus. Dr Mungherera is a noteworthy figure in the fight against HIV both in her home country of Uganda and on an international level. As a woman from a wealthy family and a doctor living positively with HIV, Dr Mungherera breaks down many stereotypes about HIV. Professor Steve Wesselingh will open the event. Professor Wesselingh is an Infectious Diseases Physician; researcher in Neurovirology, HIV and vaccine development; and is the Executive Director of the South Australian Health and Medical Research Institute (SAHMRI). Dorinda Hafner will act as MC for this significant event. Dorinda is a media personality, African Australian Woman of the Year, a free spirit and an inveterate storyteller. We hope that you will join us for a lively evening of inspirational words, African dancing and music. For catering purposes, please RSVP by Wednesday 4 November by calling (08) 8245 8100 or online by using the following link:www.trybooking.com/JIMM.